CHICAGO (WLS) -- Elevated service near the Roosevelt stop was suspended after debris landed on the third rail and caught fire Tuesday afternoon. Officials say a scaffold fell near 17th and Wabash, and a rope from the scaffold landed on the electrified rail and ignited. 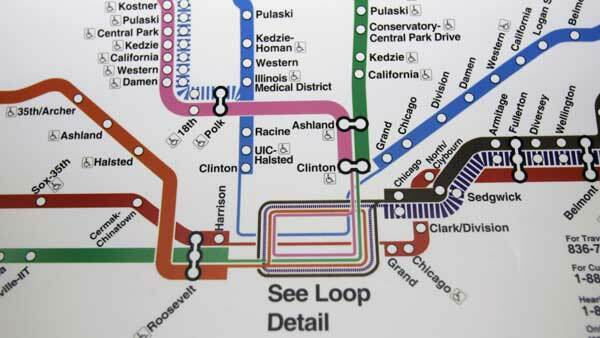 Orange Line service was temporarily suspended between Halsted and Roosevelt; Green Line service was suspended between 35th-Bronzeville-IIT and Roosevelt. The shutdown lasted about 20-30 minutes. Shuttle buses ran in the affected areas. The CTA recommended the Red Line, 29 State or 62 Archer buses as alternatives.